I’m always on the look out for new technology and widgets that I can integrate into my podcast. So today, I wanted to quickly tell you about a new widget called speak pipe. 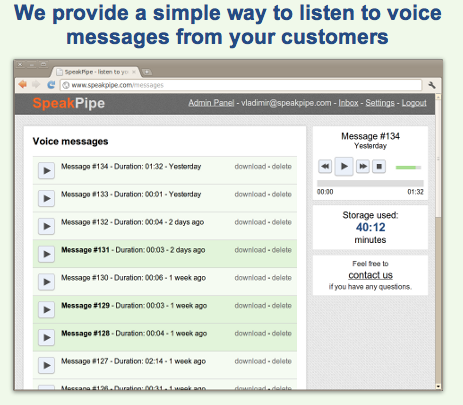 Speak pipe allows visitors to your website to leave a voicemail message for you. You can these take these audio files and embed them in your podcast audio. I kinda see it as the podcast equivalent of blog comments. Here’s a few reasons why you should seriously consider utilising a service like speak pipe for your show, and why I’m going to roll it out across all of my podcasts. mail from a listener allows you to introduce content in a new way. You might answer a question, get another opinion, or even air a compliment. 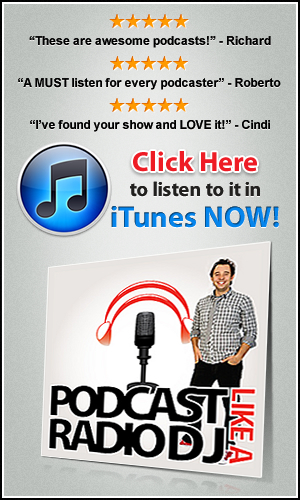 A common concern podcasters have is generating enough content for each episode. Including listener voice mails is a great way to allow your audience to assist in content creation, and who knows where that will lead? There’s a lot to be said for podcasts that use proven and tested engagement methods from mainstream media (in radio for example, listener voices are regularly heard throughout typical station programming). Ultimately, a listener voicemail adds a voice to your audience and this only validates your credibility in the ears of your greater audience. Oh, and hearing foreign accents is also a great testament to how global your podcast is! Let’s face it, speaking is so much easier than writing. And in my opinion, one of the main reasons such a low percentage of people email podcasts / blogs is because of the effort required. But thanks to a service like speak pipe – all you has to do is hit the big red record button and then talk. The audio file is then sent straight to your inbox – no fuss. Then just cut it up and paste it into your final mp3 file. Hope that’s inspired you to think a little differently about your podcast! Get started on your free trial with speak pipe by clicking here. Previous post: Is There Really A Perfect Podcast Length?